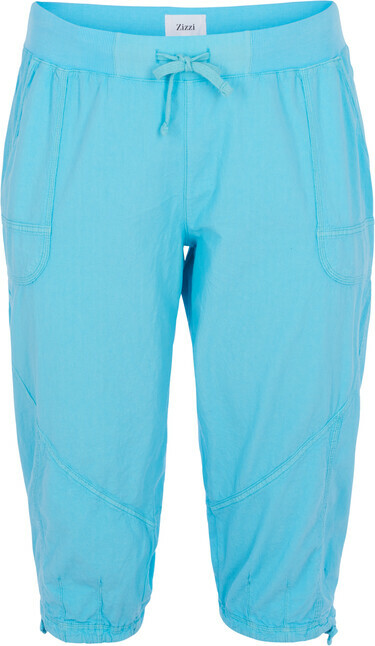 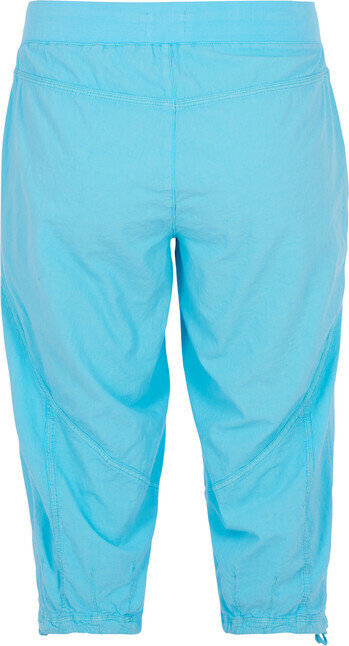 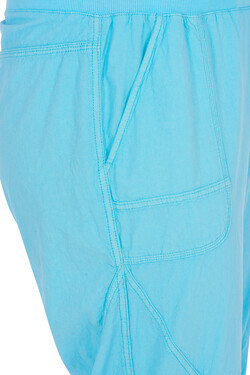 Beautiful summer trousers from Zizzi. 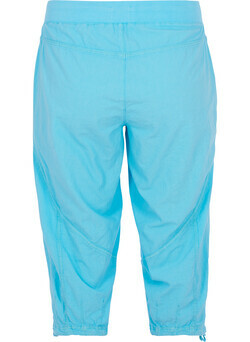 The trousers have a light and loose fit and come down to below the knee. 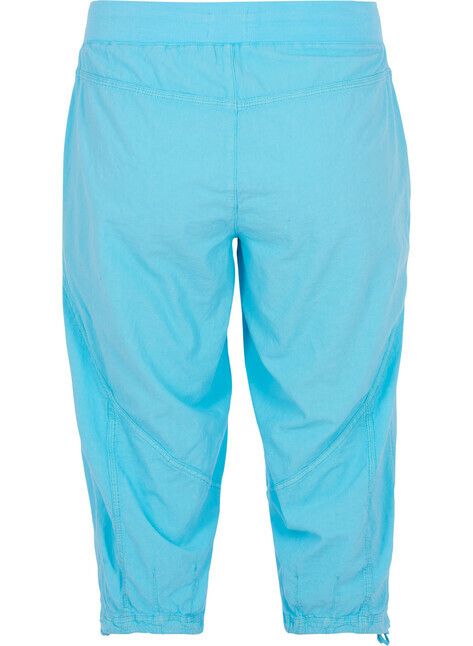 These beautiful 3/4 trousers have a drawstring at the waist and at the leg, so you can give them a bit of a baggy effect. 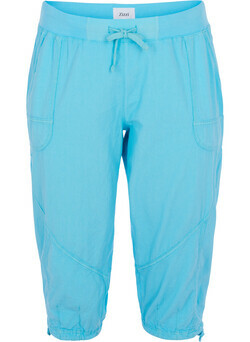 The trousers have practical pockets. 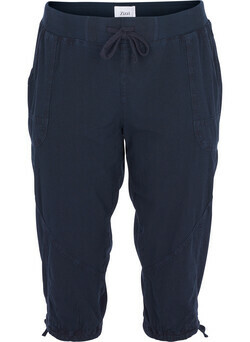 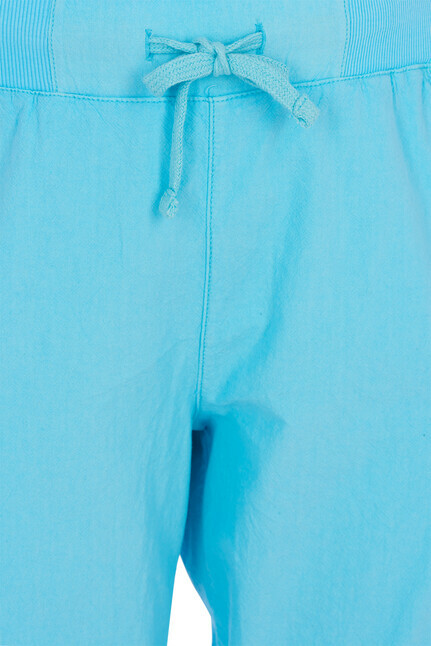 The trousers are made of cotton and are thus comfy and breathable.